As the world’s best football nations fight through gruelling qualifying campaigns to make it to the 2010 Fifa World Cup, one of the world’s favourite cities is ready to welcome them. On 30 July Mayor of Cape Town Dan Plato and Danny Jordaan, head of the 2010 Fifa World Cup Organising Committee, signed the service level agreement for Cape Town to host the tournament’s final draw at the Cape Town International Convention Centre on 4 December this year. The draw is expected to be broadcast in almost 200 countries and attended by some 2 000 guests and 800 media representatives. It will determine the match order for the world’s top 32 teams who will contest Africa’s first Fifa World Cup from 11 June to 11 July 2010. The agreement sets out the roles and responsibilities for the two parties in staging the event and providing all the necessary support services. “We can’t wait for the fourth of December and we can’t wait for 2010 to welcome all the visitors and spectators to our city,” Plato said. “Cape Town is ready and prepared to deliver a memorable final draw and to provide unique visitor experiences for visitors and the soccer fraternity alike. According to a 2008 travel survey taken by more than 25 000 readers of UK papers The Daily and Sunday Telegraph, Cape Town gets the nod for best city in the world, beating the likes of Sydney and San Francisco. The city has also made it onto National Geographic's Places of a Lifetime list, which features 50 of the world’s top destinations. Also in 2008, it was voted into third place in the World Edition of the Monopoly board game, coming in ahead of international icons such as Paris, London and New York. Jordaan said the final draw in South Africa’s scenic Mother City would be a week-long event featuring a number of activities staged by Fifa, the Organising Committee, the City of Cape Town, the Western Cape Provincial Government and all South Africa’s host cities. “There are two projects left in the delivery of the 2010 Fifa World Cup: the final draw this December and then the tournament itself starting next June,” Jordaan said. Plato said the World Cup had already created a number of job opportunities in the city, particularly in infrastructure. Nik Rabinowitz is South Africa's funniest Jewish Xhosa speaking comedian... anything else to say? Andy: So you’ve been here since 1999 guys? Andy: So where does the environmental poaching come in Enock? Andy: So we’re not just talking about the wildlife? 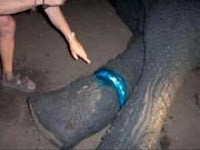 Andy: So we travellers play a really important part – in a sense, when we find a snare, we've saved (bagged) an elephant! Andy: And how do we go about changing all of this - really? Andy: Hey I’m up for a boogie Enock, but seriously I’m sure tourists must be pretty stoked when they're rescuing animals? Andy: So how can we help out there on the ground? Contact Acacia Adventure Holidays on 020 7706 4700, email info@acacia-africa.com or visit www.acacia-africa.com for further information. ATOL No. 6499 and ABTA No. W4093 PROTECTED. Editors’ notes: Acacia Adventure Holidays offers over 100 intriguing itineraries including overland trips, small group safaris, adventures, diving, city breaks, short stays, comfort class safaris and voluntours. Additional online tours are available. Travellers visiting Rwanda should know that the use of plastic bags (any plastic bag, even the duty free ones...) is now prohibited in Rwanda. The authorities banned them in order to combat pollution and littering in the country. Hostelworld.com is celebrating its 10th Birthday. Ever thought about climbing Mount Kilimanjaro? Approaching the summit of Mount Kilimanjaro by the challenging Shira Route is an exhilarating option for walkers keen to explore less trodden trails and who are comfortable in variable mountain conditions. From the forest and moorland to the caldera of Shira volcano, we explore the fascinating rock formations on the Shira plateau before traversing beneath the southern ice fields of Kibo. The Machame route is one of the most scenic routes by which to climb Mount Kilimanjaro. It is less used than the Marangu route and all the better for it. You ascend from the western side of Kilimanjaro and descend down the south face. You pass through tropical montane rainforest to the snows of Kilimanjaro, with views of the western face and the southern icefields. Just three degrees south of the Equator is the 5,895m/19,340ft high, permanently snow-capped Mount Kilimanjaro, Africa's highest mountain. It offers one of the best opportunities in the world to climb a peak at high altitude without needing technical climbing ability. Any normally fit, healthy person prepared for some physical exertion and exercise should be able to complete the ascent to Gillman's Point and then on to Uhuru Peak, the technical summit, this involves approximately 60 km of walking in total, and no technical climbing. The rewards on completing this challenging trek are spectacular scenery, stunning views plus a great sense of achievement. Each of the trips below includes a trek to the summit of Mount Kilimanjaro, Africa's highest peak. You don't have to be a mountaineer or experienced trekker to reach the summit - anybody with a good level of fitness and plenty of determination stands a chance of success! Each itinerary takes you to the summit by dawn, giving you the opportunity to capture the breath-taking scenes before you. Treks 1-5 are available on any day, for any number of people. If you do not wish to join others and prefer to trek privately please let us know at the time of booking. There is no extra charge for this. If you are happy to join others on trek we try to keep the group sizes to between 5-7 people where possible. Treks 6-8 are group itineraries, which means that you will be joined by fellow travellers. We've designed our Kili trek to give the very best chance of reaching the summit, maximum appreciation of the spectacular scenery and wildlife, and an insight into the natural history and cultures of the environments and peoples we meet. Trekkers arriving from low level to climb Kilimanjaro often suffer from altitude sickness if they do not acclimatise properly (lack of fitness is rarely a big problem). We use the Machame Route (with an extra day at Karanga Valley) because it is scenically very attractive, gentler than Marangu or Rongai routes, and provides excellent acclimatisation. The sight of the permanent white snows of Kilimanjaro (5896m) provides a constant source of inspiration when viewed from the vast plains. It is also a natural focus for any fit trekker keen to summit the highest peak in Africa! The Rongai route begins in attractive farmland and delightful forest, with the possibility of wildlife viewing, and passes through several different climate zones, adding considerably to the interest of the trek while at the same time ensuring maximum acclimatisation. This route retains a sense of unspoilt wilderness and offers a different perspective on Kilimanjaro by approaching it from the north. From the alluring summit of Uhuru Peak (5896 metres), we will have amazing 360° views of the surrounding plains. All of you have probably heard about the upcoming sci-fi movie "District 9". The movie was produced by Peter Jackson and directed by Neill Blomkamp. The new movie (in the cinemas from August 2009 on) is actually based on the Neil Blomkamp's short film "Alive in Joburg" (1995) which explores themes of apartheid, and is noted for its documentary-style imagery. Check out the original version! Tristan Waterkeyn’s been around. Born in Tanzania, moved to Kenya, then to Zimbabwe, where he went to high school. He learned to play the guitar to escape the rigid institutionalism of boarding school, and made appearances in Harare for a band called “Substitute Parachute”. After that he spent three years backpacking through Asia and sailing thousands of kilometres (yes, with guitar in tow), before returning home to Africa. To Cape Town, to be exact, where he studied philosophy and comparative religion at University and soon found a group of people to share his passion for music with. Having finished his degree and having found himself more involved in the live music scene than anything else, Tristan saw a need for a more unified community in South Africa’s diverse music industry. He formed Overtone, a company dedicated to building up the music industry of South Africa. Overtone provides every South African band and artist with access to its rapidly expanding online community with easy access to the music industry via its directories. For fans and the industry, it offers a monthly gig-guide and newsletter, as well as access to information on different sectors of the industry in South Africa – from bands themselves to live venues, stores, labels and industry news. As a resource for artists, Overtone is to offer all the facilities that they would normally have to source from multiple individual companies. It also offers facilities and help for musicians to record and produce their own albums. This brings us back to the new album ‘Hay Day’ . It’s taken a considerable amount of effort, time and coordination – a testing of the Overtone system – to arrive at the finished article, and here is Tristan’s (and Overtone’s) seamless debut album. 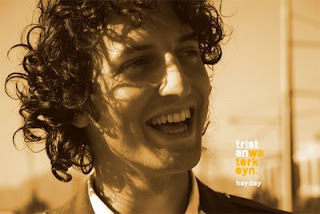 Well, simply go to www.tristanwaterkeyn.co.za and order the full 12 track debut album of Tristan for FREE! Simply enter in your email address and you will be sent the full album download links which you can forward to your friends arround the world. Virtual busking at its best. Thx Tristan! Etihad Airways, the national airline of the United Arab Emirates, will begin services from Abu Dhabi to Cape Town on 30 September 2009. The new Cape Town flights will operate via Etihad's current daily service to Johannesburg. It will be Etihad's second destination in South Africa and its fifth on the African continent, joining Khartoum, Cairo and Casablanca. KEEN, Inc., an outdoor footwear company, is running a contest with a chance to win a week-long volunteer vacation at an animal rescue society near Cape Town, South Africa. The trip is being organized by i-to-i, a U.K.-based volunteer travel company. To enter Keen's contest, go to their website before August 21st 2009 and enter for a chance to win. Mpumalanga, Blyde River Canyon, Bourkes Luck Potholes, Kruger National Park, Hlane Game Sanctuary, Drakensberg Mountains, Manyeleti Game Reserve, Graskop, Pretoria, Swaziland. Track down the Africa's "Big 5" and much more wildlife in Kruger National Park and a few wildlife reserves on this 2-week journey through South Africa and Swaziland. From modern cites to coastal towns, and open savannah to drastic mountain ranges, this tour offers you the best of the region while experiencing some fabulous lodges and chalets along the way. What's Included: Pilgrim's Rest Visit, Blyde River Canyon Visit, Manyeleti Game Reserve entrance with game drive (open vehicle), Kruger National Park entrance with game drives, Hlane Game Sanctuary entrance with game drive (open vehicle), Damazulu cultural experience entrance and visit, St. Lucia Estuary boat excursion, 4x4 excursion to Sani Pass, Breakfast daily, Meals as indicated, Arrival transfer. Group Leader: Tour leader, Driver, Local guides. Accommodation: Comfortable hotel (8 nts), Chalets (2 nts - Swaziland), Bungalows (3 nts - Manyaleti and Kruger). Transport: Air-conditioned touring vehicle, Walking. Meals Included: 13 Breakfasts, 2 Lunches, 8 Dinners. Meal Budget: Allow USD300 for meals not included. For additional expenses, see trip details. 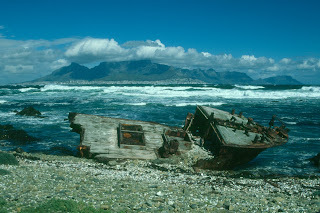 Recommendation: Looking to add some time in the picturesque Cape Town before or after your tour? Check out our Cape Town iStyle program, TDACY5C (tour link). Johannesburg may be the economic powerhouse of South Africa, but living in the city can be dirt cheap, if you’re an expatriate. This is according to the findings of a recent global survey, which has declared Johannesburg the most affordable city in the world for foreigners. The Cost of Living survey, compiled in March 2009 by consulting and investment firm Mercer, covers 143 cities across six continents an d measures the comparative cost of more than 200 items in each location, including housing, transport, food, clothing, household goods and entertainment. It is the world’s most comprehensive living cost survey and has been set up to help multinational companies and governments work out compensation allowances for expat employees. In the survey, New York is used as the base city and scores 100 points. All cities in the poll are then compared against the city, also known as The Big Apple. Topping the charts as the most expensive city is Tokyo, with a score of 143.7 points. Johannesburg is nearly three times cheaper, with a score of 49.6. To put this in perspective, compare the price of a hamburger in the two cities: in Johannesburg you can get one for as little as R20 (US$2.50), while in the Japanese capital you’re looking at the hefty price of R55 ($7) per burger. Osaka was rated the second most expensive city – making Japan the only country with two cities in the top 10. Moscow was third, Geneva fourth and Hong Kong fifth. In 2008 Asunción in Paraguay was rated as the cheapest destination and Moscow the most expensive. Nathalie Constantin-Métral, senior researcher at Mercer, said currency fluctuations, including a stronger dollar, have affected this year’s global rankings. “Many currencies, including the euro and British pound, have weakened considerably against a strong US dollar, causing a number of European cities to plummet in the rankings,” she said. London dropped 13 places from last year to be the 16th most expensive city in the world, while Paris slipped one spot to 13th, according to Mercer. Due to the strengthening dollar, all US cities became more expensive. Los Angeles gained 32 places to 23rd and Washington moved 41 places to 66th. Most European cities became cheaper for expats. Warsaw experienced the most dramatic change, dropping from 35th to 113th place. Expat life also became cheaper in Australia, New Zealand and India. Sydney has dropped from 15th to 66th and Mumbai has slipped from 48th to 66th place. Chinese cities benefited as the yuan strengthened against most other currencies, said Mercer. Shanghai, Shenzhen and Guangzhou moved up to 12th, 22nd and 23rd respectively. Johannesburg’s favourable rating has been welcomed by the local tourism industry. “The news of the influential poll will come as excellent news to Joburg as it gears up for the 2010 Fifa World Cup,” said Tshwane Malope of the Johannesburg Tourism Company. “The city has come a long way over the past decade and is growing a reputation as an events hotspot,” he added. Listenup.za.net Podcast feat. Liver of African Dope Records! 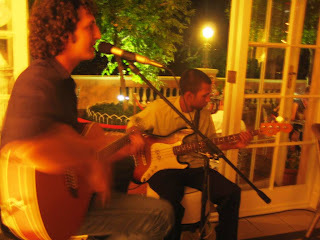 Another awesome example of the massive diversity of music coming from Cape Town, South Africa. Check it out! The application process for the 2010 Fifa World Cup volunteer programme is now open. A total of 15 000 volunteers are required and will be selected from South Africa, the continent and the rest of the world to assist in making sure the event is run smoothly. It does not matter what kind of music you like - this song is just, just... frak, one of the best songs ever! Amandla! According to several newspaper reports Fly Kumba is scheduled to begin operations in September, and will fly both domestic and regional routes. Due to the fact that around three million Zimbabweans estimated to be living and working in South Africa, the main route for the airline will be Harare <> Johannesburg. Flights on other routes such as Harare <> Bulawayo, Harare <> Vic Falls, Johannesburg <> Vic Falls and Harare <> Kariba will also be introduced. Fly Kumba Chief Executive Officer, Lloyd Muchaka said the airline's vision and mission was centered around ensuring that flying is affordable to everyone. “We intend to become Zimbabwe's preferred low-cost airline, delivering the lowest air fares with the highest consumer value add offering world class service to price sensitive consumers…Fly Kumba intends to fulfill everyone's dream of flying based on a fare of below US$ 80, departure tax included in this price for a flight from Harare to Johannesburg,” said Muchaka in an interview. Mozambique: Yellow Fever vaccination certificate - change in policy? I just read on the website of LAM (Mozambican airline) that "passengers flying in the routes Johannesburg, Nairobi and Dar-es-Salaam that they must hand yellow fever vaccination certificate, otherwise passengers will be obliged to vaccinate at their own costs." (updated 03 July 2009). All travellers entering Mozambique who have been to any country where Yellow Fever is known to exist (as listed by the World Health Organisation) must present a valid Yellow Fever Vaccination Certificate on arrival. If you cannot present a valid certificate on entry you may be vaccinated at your expense (approximately US$55). 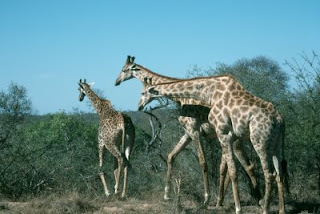 South Africa's world-famous Kruger National Park is fully booked for the duration of the 2010 Fifa World Cup. All accommodation in the main camps was snapped up a mere two hours after the reservations office opened on 1 July. South African National Parks (SANParks) reports that even though booking for July had opened a month earlier than usual, visitors were alert to the fact and wasted no time. Normally booking opens 11 months in advance for one month at a time, but with the World Cup on the horizon SANParks decided to give their visitors the chance to book for both June and July simultaneously. This was a one-off scheme. Reservations for August 2010 will revert to the usual procedure. The national parks authority also noted that accommodation for the same period in its other parks around the country was filling up rapidly. Many parks, such as the Golden Gate Highlands National Park in the Free State's Maluti Mountains and the Kgalagadi Transfrontier Park which sits on the South Africa-Botswana border, are particularly popular as winter getaways. SANParks has partnered with Fifa-appointed professional hospitality company Match to manage accommodation in the Kruger and other parks. The Kruger Park's closest major city, Nelspruit, is a 2010 venue, with the city's Mbombela Stadium scheduled for completion in October 2009. 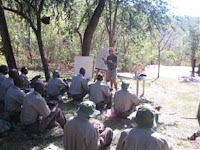 The Skukuza, Berg en Dal and Pretoriuskop camps in the southern Kruger Park have been reserved solely for 2010 visitors through the Match affiliation. This equates to 30% of the park's total accommodation capacity. These and other camps in the park's southern bounds are now fully booked, but there is still limited availability in certain camps in the far north. A recent report from SANParks reveals that as many as 15 000 new people could be introduced to conservation areas during the World Cup. This is viewed as an outstanding marketing opportunity, as people will share their experiences and word of mouth is a powerful way of spreading the message. Besides the Kruger Park, SANParks and Match have agreed to the 30% deal for 11 other national parks. These are the Kgalagadi Transfrontier Park, Augrabies Falls National Park, Golden Gate Highlands National Park, Tsitsikamma National Park, Addo Elephant National Park, Mapungubwe National Park, Mokala National Park, Mountain Zebra National Park, Bontebok National Park, Karoo National Park and Wilderness National Park. Available accommodation in these parks is also disappearing fast. Kgalagadi's main camps are said to be fully booked and the smaller camps are almost full. The same can be said of the Addo Elephant National Park in the Eastern Cape. Visitors who would like to spend some time in these magnificent wild areas of South Africa during the World Cup are encouraged to visit the SANParks website without delay. The Kruger National Park accommodates every taste, from those who prefer to rough it in tents, to lodges of unrivalled luxury. There are 21 rest camps to choose from, several of which have satellite camps. A number of private lodges also operate within the park. SANParks tourism and marketing director Glenn Phillips said that although a rush had been expected, the Kruger Park's main camps were fully booked before they even noticed, as staff were kept busy handling the roughly 5 000 calls and 500 emails that poured in. The winter school holidays also fall within the mid-year period. Next year the holidays run from June 9 to July 13 and have been extended by about a week to cover the entire period of the World Cup. 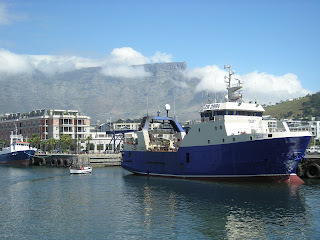 "We value our local visitors and even though we will be accommodating the soccer tourists next year, we are glad to also be able to provide for our local clients during the school holiday next year," said Phillips, adding that he was glad to see South Africans booking their 2010 holiday accommodation in good time. The Kruger Park is one of South Africa's most important tourism drawcards. The country's biggest game reserve covers almost 20 000km2, or an area a little bigger than that of the entire nation of Israel. It is a part of the Great Limpopo Transfrontier Park, a peace park that spans the Kruger Park, Zimbabwe's Gonarezhou National Park, and the Limpopo National Park in Mozambique. 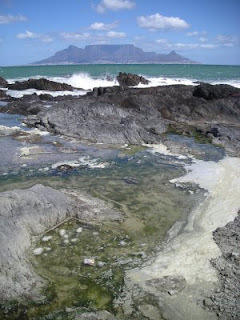 It is also a part of one of South Africa's six biosphere reserves. In September 2001 the Kruger to Canyons was designated by the United Nations Education and Scientific Organisation as an International Man and Biosphere Reserve. An abundance of birds, reptiles, animals and plants thrives in the park's six eco-systems. There is something of interest for every nature lover - about 1 980 species of plants, 336 species of tree, 49 fish, 34 amphibians, 517 birds, 147 mammals, and 114 species of reptile, including 3 000 crocodiles, are found here. For wildlife enthusiasts who cannot make it in person, a number of webcams have been set up around the park for convenient armchair game viewing. 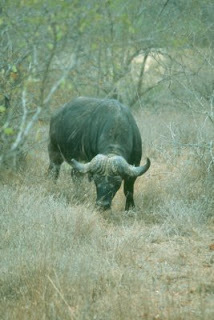 However, the spectacular wildlife is not the only reason to visit the Kruger Park. Within its borders are over 255 historical and cultural sites, with more yet to be explored. Some of these sites date back to the early Stone Age and are over a million years old. There are also several Iron Age settlements, and a number of spiritually significant sites too. Three historical sites are currently open to the public. 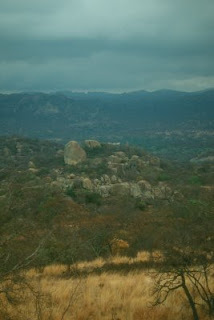 They are the ruins of the 19th century Albasini trading post, and the late Iron Age Masorini and Thulamela settlements. GAP Adventures: Cosmonaut For A Day! This is the trip you've been waiting for. Using the same sophisticated simulators that are used to train astronauts and fighter pilots, you'll train like a real cosmonaut. You will explore and experience space simulators, learn to prepare and eat food in space, view the hydrolab and put on and move around in a Orlan-DMA Space Suit. Live out your childhood dream on this once in a lifetime experience. What's Included: Cosmonaut Training at Star City, Gagarin Cosmonauts Training Center tour, Monino Air Museum with guide, arrival transfer. Fellow passengers with bad breath and BO have been voted the worst people to sit next to in travel search site Skyscanner’s (Skyscanner.net) most recent poll. 19% of voters said ‘those with bad breath and BO’ made the most unwelcome neighbours. 15% said a ‘wailing baby’, 13% said ’the hyperactive child’. ‘Big bodied people’ received 12% of the vote, ‘sneezers and sniffers’ got 10% along with ‘rowdy stag/hen parties’, whilst the ‘arm rest occupier’ received 8% of the vote. Skyscanner users volunteered suggestions for other fellow passengers that they weren’t enamoured with, including: ‘loud talkers’, ‘drunkards’, ‘shoeless people’ and, on a strangely personal note, ‘Noel Gallagher’. Skyscanner is the most powerful and flexible flight search engine in Europe, providing instant online comparison on flight prices for over 670,000 routes on over 600 airlines. With Skyscanner, users can browse without having to enter specific dates or even destinations, and Skyscanner is available in 20 different languages including French, German and Spanish. eWine is a South African Wine portal. Not only will you be able to buy your favourite South African wine, but you will also find interesting information about our winemakers, wines, restaurants, accommodation in the winelands and almost everything related to South African wine. WorldNomads is looking for seven pairs of travellers, one for each of Australia's stunning states, to become Van-Tastic Adventurers. So WorldNomads can easily find your video on You Tube, you must clearly identify in your video title the State or Territory Adventure you are applying for; e.g. "Adventure on the Road, QLD" or My Big Trip, QLD"
Durban's Black Mamba Backpackers is situated in the middle of The Valley of a Thousand Hills Meander that has the most tranquil and relaxing surroundings with beautiful views of Bothas Hill. Literally on a hill on a crest someway above Durban; Hillcrest was once a little hamlet that bordered on the Valley of a Thousand Hills, surrounded by green pastures and farmland. It was a retreat away from the hub of the city, somewhere one could escape to cooler air and guaranteed peace and quiet. They have a rustic bar, Jacuzzi and Internet (in the bar area), hammocks, swimming pool and pool, raised and sleeper tents, cosy African doubles and dorms, open air showers and a garden. Btw - they are also offering a free airport pickup! SANParks: Get a "wild" ringtone for your mobile!